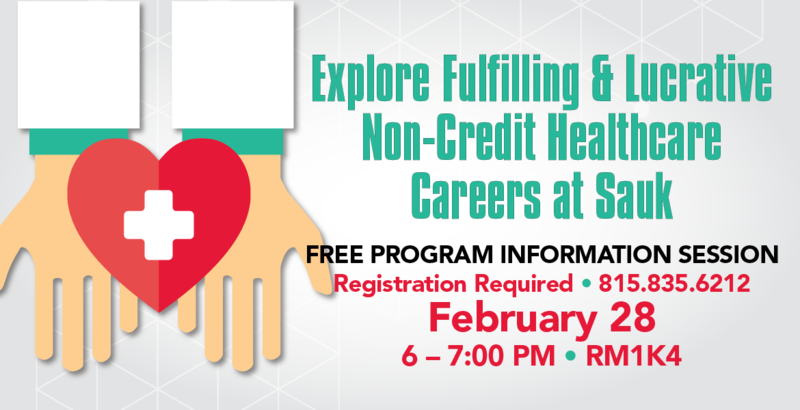 Are you interested in a satisfying, flexible, and rewarding career in healthcare? Then come out to Sauk's campus on Thursday, February 28 from 6-7 p.m. in RM1K4. This free overview of Sauk's programs is open to all, but you must be registered.